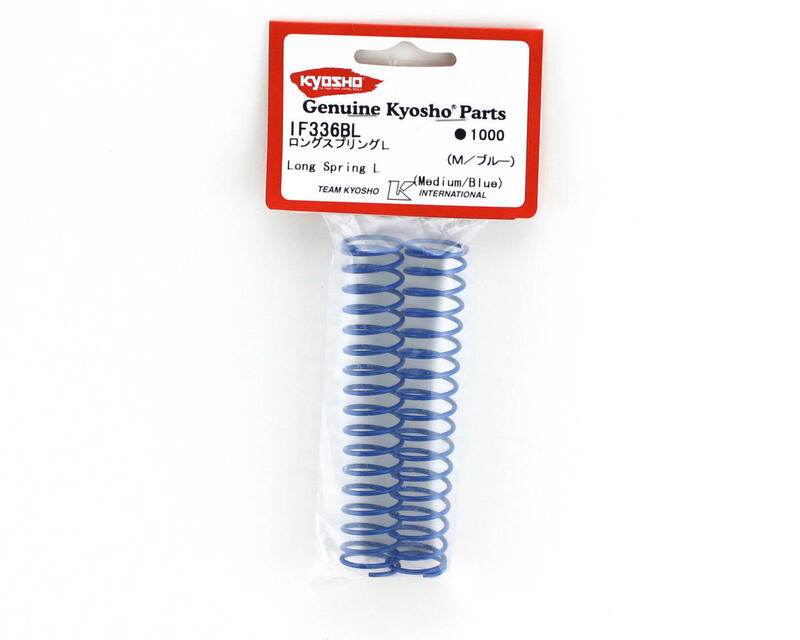 This is a set of long blue rear shock springs for Kyosho buggies, and fits the Inferno MP777 family of buggies. 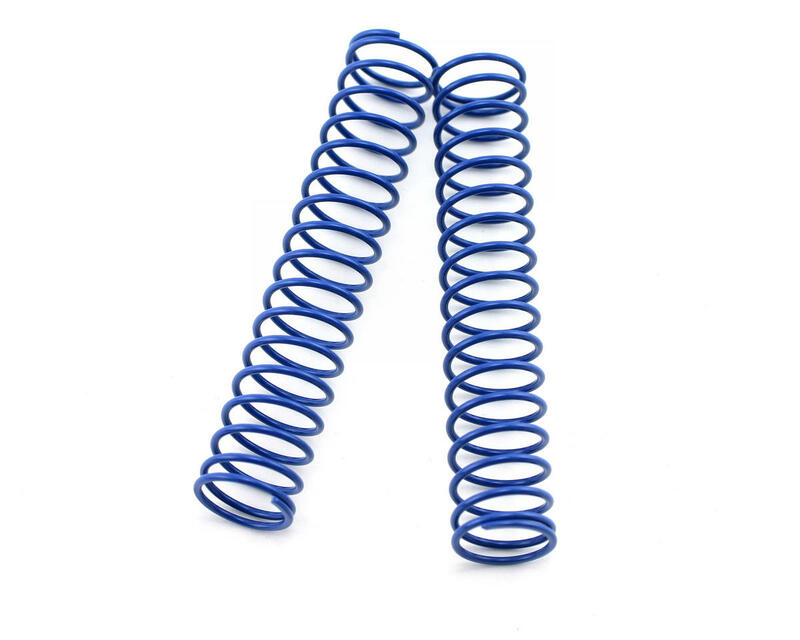 These are the medium stiffness shock springs and are the springs that come stock in the Kyosho MP777 Special 2 buggy kits. These are longer than the old blue springs that came in the MP7.5 and earlier MP777 buggy kits.